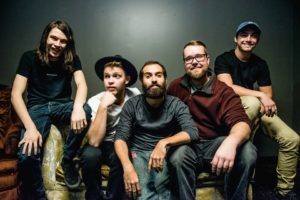 The What: Once upon a time, five funky folk-soul rockers named Sam Melo (lead vox), Darrick “Bozzy” Keller (guitar/vox), Ethan Goodpaster (lead guitar/vox), Jess Haney (drums) and Charlie Holt (bass/vox) got together under the design of making some warm-blooded and groovy tunes. Adorably, they called themselves Rainbow Kitten Surprise. They did some stuff and then they did some other stuff, but today they released this sweet little ditty and video, “Fever Pitch.” Yes, it’s making your hips and neck roll and don’t pretend that you weren’t charmed by the chaps, the two-stepping or Melo’s sweet rap breakdown at the 2:02 minute mark. By the way, cheers to Rainbow Kitten Surprise for hooking up with Elektra Records. Plus, it looks to be a rainbow-delicious year as in March the guys kick off what will be their biggest headlining tour to date in advance of the April 6th unleashing of their third album, HOW TO: FRIEND, LOVE, FREEFALL. Meow, indeed. The Where: If you’re not doing so already, get some Rainbow Kitten Surprise in your life via the usual places such as their official website, Facebook page and at @RSKbandOfficial on Twitter.